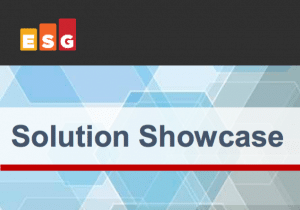 In this new Solution Showcase by Enterprise Strategy Group (ESG), Senior Analyst Doug Cahill reviews recent research on application container adoption trends, then outlines how to build security into the DevOps and SecOps use cases. Abstract: The broad adoption of application containers for both new applications and those being refactored into a microservices architecture has created the need for purposeful container security solutions. And as application containers move along the build-ship-run continuum into production environments, such solutions need to protect containers from being compromised from multiple vectors. Integration into the orchestration platforms that automate container management lifecycle is an immutable aspect of application container security that represents an opportunity to assure that containers are secured from registry to production. NeuVector provides an application container security solution focused on protecting the runtime integrity of containers from multiple attack vectors by automating the introduction of security controls via integration with container orchestration platforms. Please complete the following to download the ESG Research and Solutions Showcase.